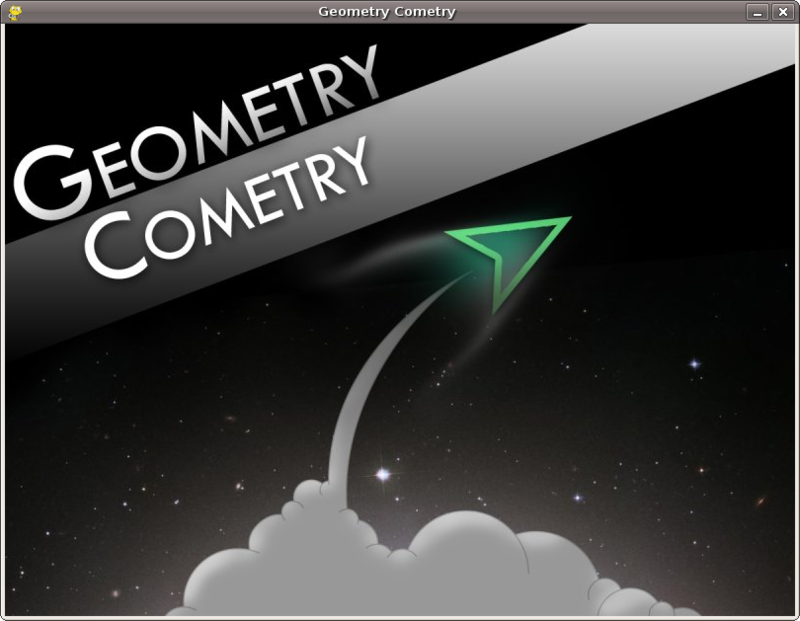 Welcome to the official home of Geometry Cometry, the game where you should probably protect mankind from the invasion of geometric shapes. 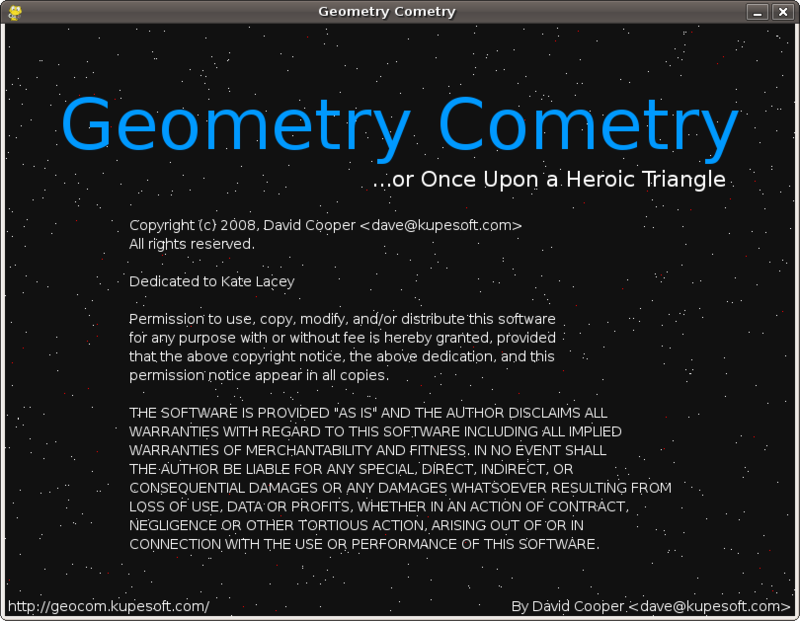 Note that Geometry Cometry is still in development. Development has formally stopped. As of today, all bugs are features. 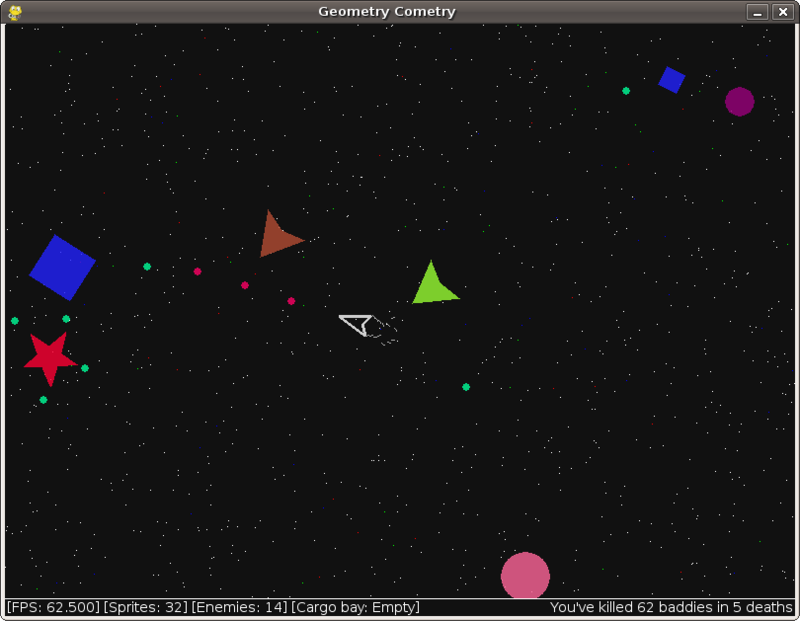 After almost two years of inaction, development of Geometry Cometry has resumed! Both will be included in a forthcoming release. You'll need both Python and Pygame installed. For better performance you may also want to install Psyco as well. The source code is released under a slightly modified ISC license. 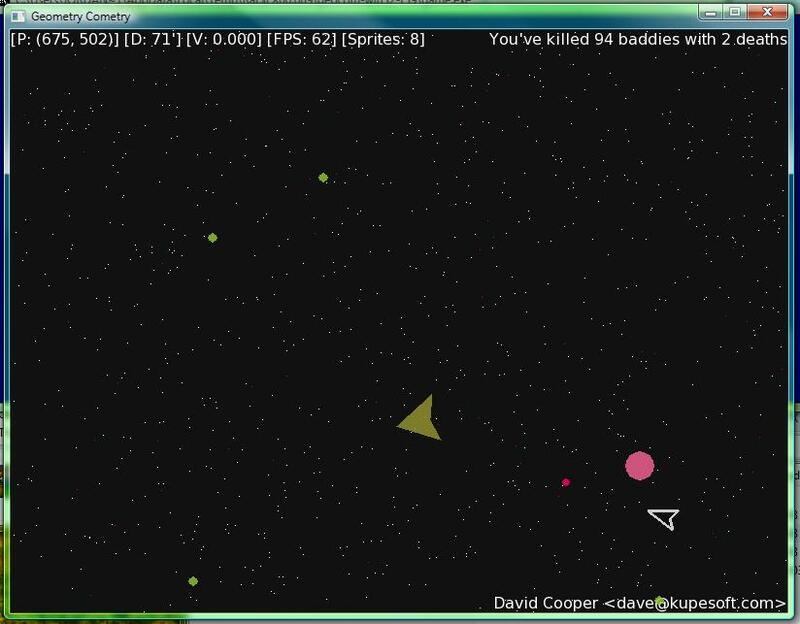 Finally, here's a screenshot that I took of the game in action on Debian Linux. And here we have another that Jordan Campbell sends us running Geometry Cometry on Windows Vista.